The mission of the Central Coast Aquarium is to cultivate a community dedicated to ocean stewardship. The Aquarium was born from a passion for the sea and community and is committed to providing opportunities centered around education, engagement and action. 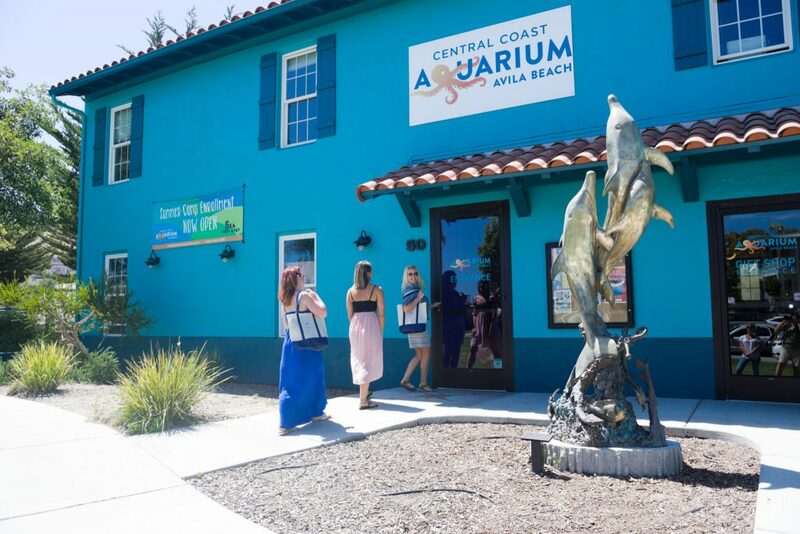 Based in Avila Beach, the center expands the aquarium visit by offering a fun, hands-on experience that fosters education and encourages stewardship of our oceans. The Aquarium has grown to become a valuable community resource. It serves as the epicenter of knowledge about ecosystems that impact all our lives. At the very core, our organization is led by a mission to educate and inspire everyone through education programs, outreach and offerings. Understanding the very unique marine ecosystems is vitally important for several reasons. Not only do the world’s oceans cover about three-quarters of the earth’s surface, they directly affect our atmosphere which means the state of these ecosystems directly affects us all. Get the opportunity to take the ocean home with you by becoming a steward of this natural resource. Through hands-on exhibits, outdoor excursions and laboratory lessons, the Central Coast Aquarium aims to impact everyone who walks through our doors, and positively influence their perspective toward this very important part of the natural world.